A couple months ago I received a sweet email from Julia Kreienbühl, a young mama and textile designer from Switzerland. 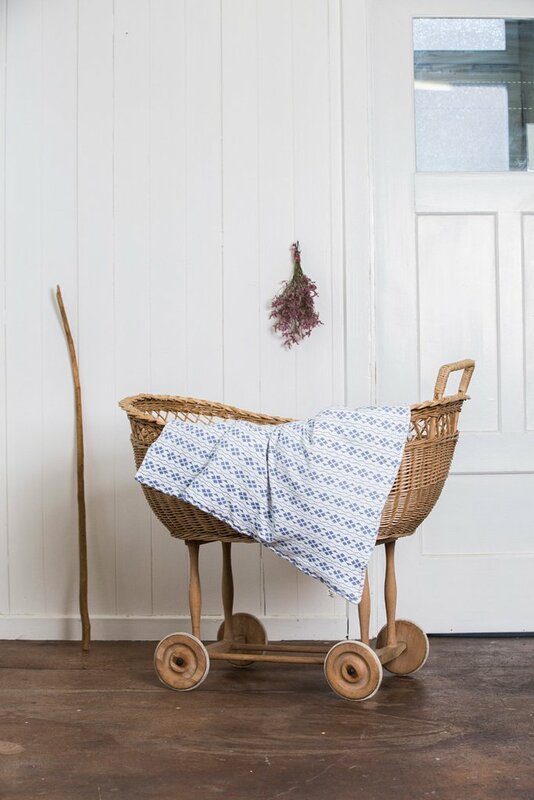 She wrote to introduce me to her range of beautiful organic blankets and her online boutique, Little Indi. 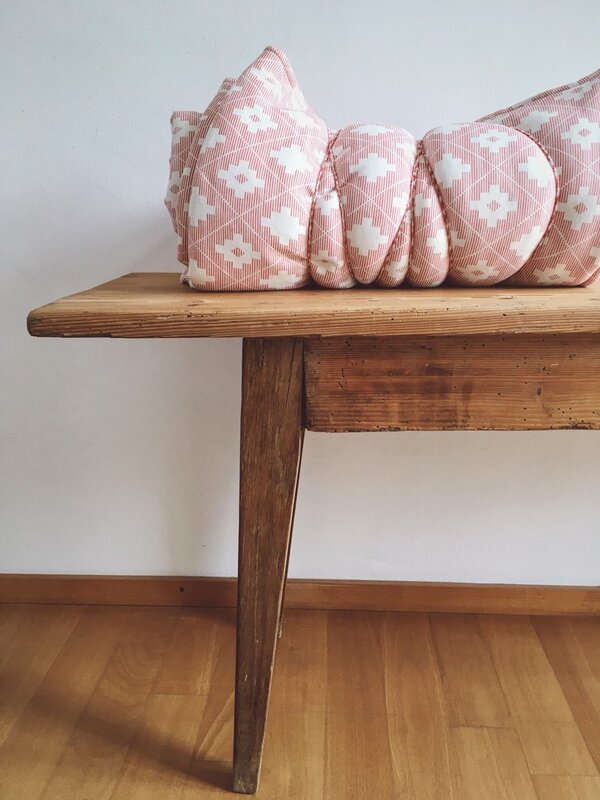 I loved Julia’s pretty textiles immediately and knew our readers would too. Julia sent me a baby blanket for our soon to be babe, and the blanket is even more exquisite in person. 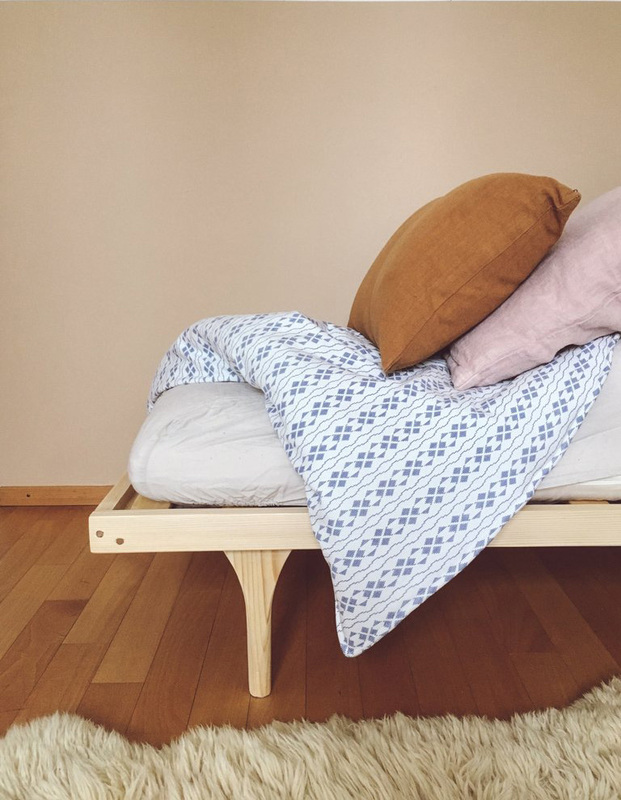 It’s more of a quilt than a blanket — with an inner wadding making it nice and thick — and I just know we’ll get lots of use out of it as a blanket, a play quilt, or even a perfectly sized blanket for the buggy. I can’t believe I’m talking about buggies and blankets! Oooh this baby will be here quite soon. Eight weeks to go…!